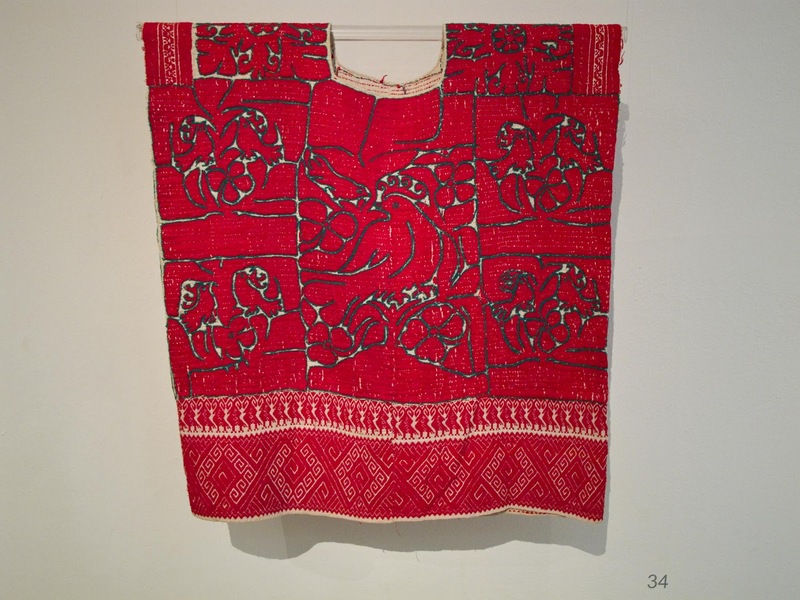 The diversity of their materials, styles and designs brings Oaxacan textiles to the forefront among the visual arts of the Americas. In this mountainous, ecologically complex region, where the main ethnic groups call themselves the "cloud people" and "sacred rain's collectivity," many kinds of plants, animals and minerals have been used to obtain fibers and dyestuffs, probably in greater variety than in other areas on this continent. 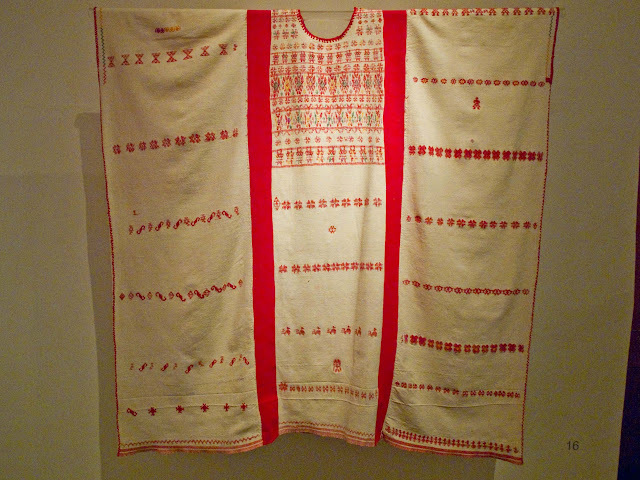 In tandem, woven structures appear to have become more diversified in Oaxaca than in other regions of Mexico and Central America. 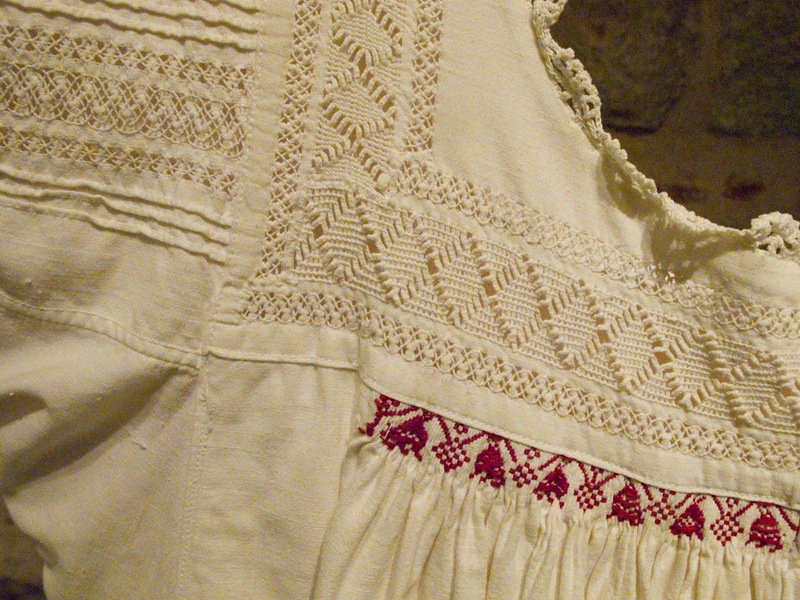 Many of those fibers, colorants and techniques ceased to be used in the last fifty years. Lost along with them were fine manual skills and a wide repertoire of designs. 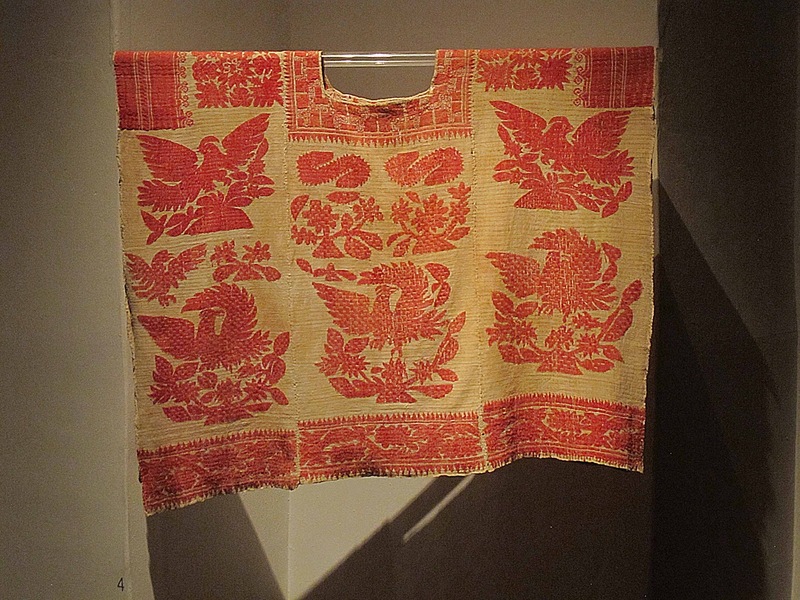 The majority of the weavings and embroideries were not produced for commercial purposes, but to be used by the people who made them in the indigenous communities, as well as in Afro-Mexican and Mestizo towns. 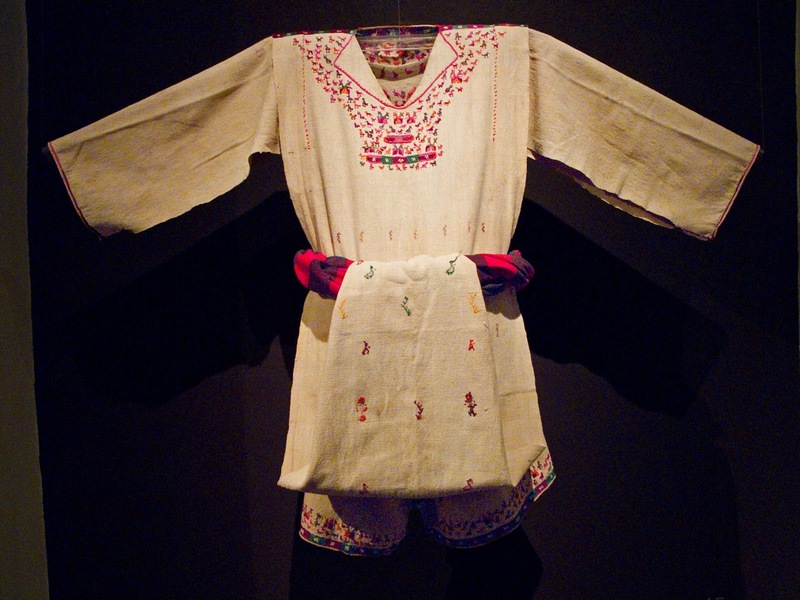 Intended for the domestic and ritual life of groups who are culturally distinct, huipiles and other garments preserved iconographic and stylistic traits that evoke different historic periods. Maintained alive with those traits was a tradition of narrative that recreates, in some cases, the meaning of the woven figures. 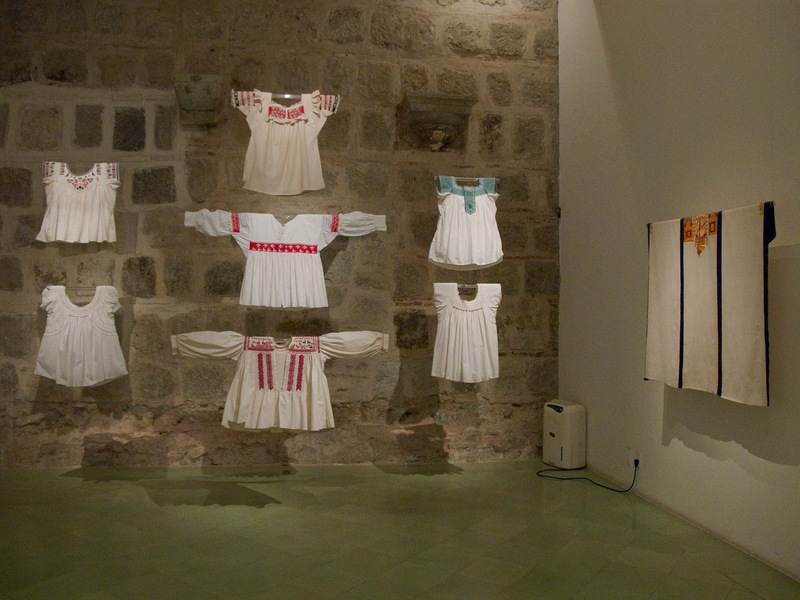 We have selected for this exhibit some outstanding pieces in the collection of the Museo Textil de Oaxaca to illustrate the variety of materials and designs in textiles that were manufactured for peoples' own use in different areas of the state. As we present everyday and ceremonial garments that date from the late 19th to the 21st centuries, we aim to put into perspective a rapid evolution of attire, what we could call the communal fashions of Oaxaca of the last one hundred years. 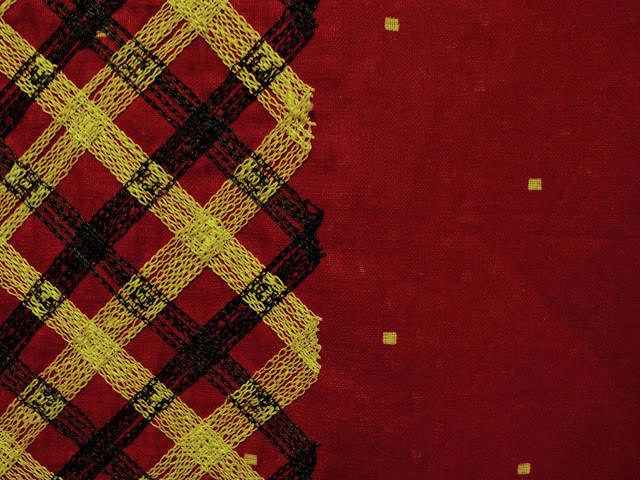 We do not show here weavings or embroideries made for the outside market once tourism took hold; we exclude commercial pieces in order to highlight the sheer diversity and the aesthetic refinement of textiles created by exceptionally talented individuals to dress themselves and their families. In choosing the pieces for the show, we have tried to cover evenly the different ethnic groups in the state, including people of African and European cultural ancestry. The exhibit is organized in four chronological sections. The first shows the earliest pieces in our holdings, woven during the second half of the 19th century and the early 1900s. Salient among them is an exceptional rebozo, the only silk weaving that has been preserved from Coyotepec, dyed with the most important dyestuffs in Mesoamerica: cochineal, indigo and shellfish purple. The second section of the show includes pieces that were made in the early decades of the 20th century, when worsted yarn and other industrial manufactures became widespread in southern Mexico. A beautiful wraparound skirt from Tututepec illustrates the early adoption of machine-spun threads and synthetic dyes, combined with traditional materials. 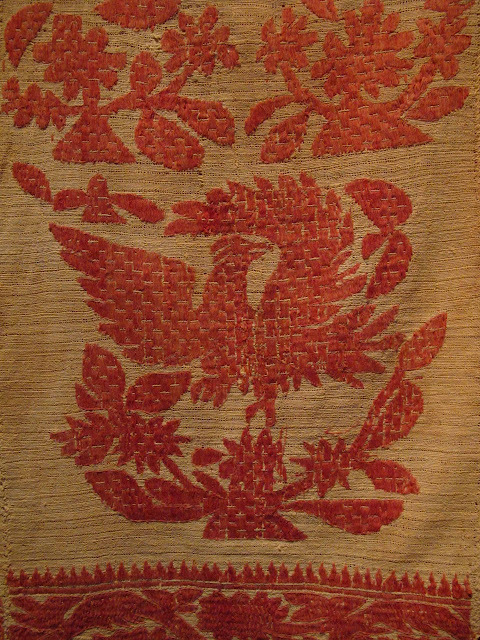 The third section features weavings and embroideries made in the mid-1900s, a period of drastic change in many communities. 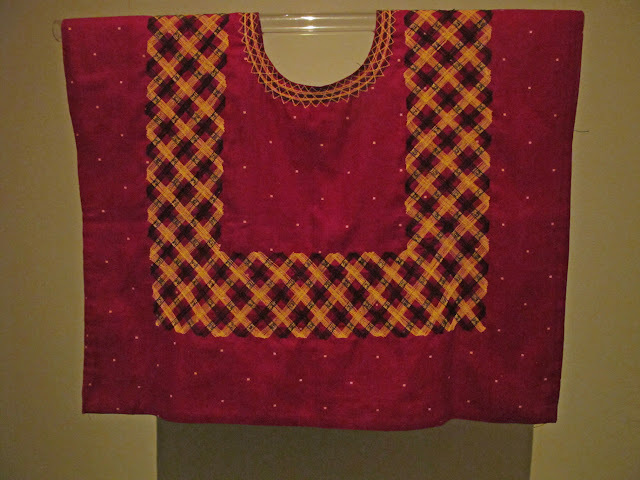 A huipil from Choapan, decorated with two techniques historically restricted to Oaxaca, bears witness to the loss of the textile arts in various areas of the state during that period. The fourth section is dedicated to the late 20th century and the most recent decade, which have seen the introduction of acrylic wool and other fibers derived from petroleum. A blouse from Santa Lucía Miahuitlán, embroidered in 2009, attests to the vitality of an elegant and delicate taste for textiles in some of the poorest communities of our country. The most important exhibit mounted so far in this museum thus ends on a note of hope.